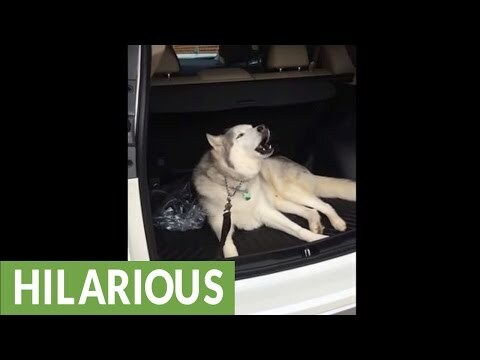 Siberian Husky Throws A Tantrum When Told To Leave The Car, Hilarious! Siberian Husky Zeus loves going for drives, so when Zeus and his mom returned home from the doggy park, Zeus refused to get out of the car. Zeus’s mom tried everything in the book, but he would not give in. Watch his hilarious whining, deep down inside he is just a kid despite his size. This video of Zeus has gone viral, and Zeus is now an internet superstar.